UK based technology consultancy Panoptics Global has today announced that it has signed a long term contract with one of London’s leading event venues, The Brewery to fully manage their IT operational services. UK based technology consultancy Panoptics Global has today announced that it has signed a long term contract with one of London’s leading event venues, The Brewery to fully manage their IT operational services. Panoptics Global will manage and support the venue’s entire IT operation to include network and Infrastructure, third party management, service desk and wireless capability across the venue. The Brewery venue host a huge variety of high profile events and conferences such as The Football League Awards, the London Web Summit 2013 and tech giants such as Google, Microsoft and Facebook. It is crucial in today’s technology and social media age that connectivity is high quality, reliable and highly available for instant online news and updates. The recent London Web Summit enjoyed live web streamlining throughout the event proceedings benefiting remote visitors who could not attend in person. Creative Director Simon Lockwood said: ”it is imperative The Brewery Venue is geared up to provide a faultless service to our clients each day. Robust, reliable, state-of-the-art technology services places The Brewery as a premier venue for technology focused events among others. We are perfectly poised to offer a truly unique wi-fi user experience. With up to 1500 delegates who may be using the internet simultaneously on a whole host of technology devices, The Brewery wireless is deemed to be one of the best complimentary in house systems available in the UK ” he added. 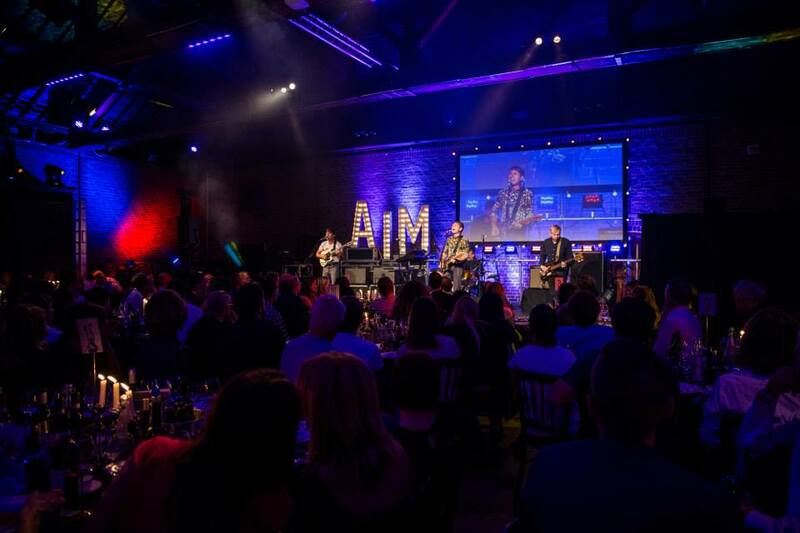 Last week we hosted The AIM Awards and as part of this Franz Ferdinand played live in The Porter Tun. We are pleased to announce the installation of amBX intelligent lighting at The Brewery in the Smeaton Vaults and King George III spaces. This system allows the simple creation of a fully immersive lighting experience for any event taking place in these spaces. Without any pre production the system reads the content of your video or powerpoint’s and changes the colours around the room to match what is happening on screen, so as your promotional video turns from blue to red as will the lights in the room. There is no need for a lighting desk or expensive production teams as the system does it all for you automatically. If you do want to take control of the system this can be done via a standard lighting desk or more impressively it can be run by simply downloading a free I Phone app. We would love to show you the system in action so please give us a call to arrange a site visit and demonstration.